Two people are each facing a child cruelty charge after Vermont state troopers say they found a 2-year-old boy living in squalor. 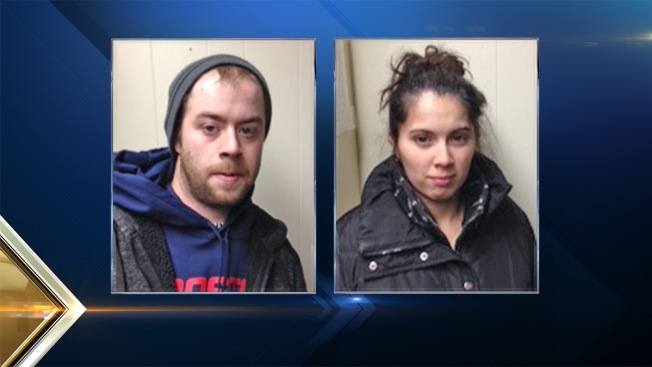 Karen Mattison and Timothy Susee Jr., both 24, were arrested Sunday evening when troopers came to their Pownal trailer after receiving a tip regarding a possible case of child neglect. Police say the anonymous caller also claimed there was drug paraphernalia and animal waste on the floor, and that the child had received an untreated burn from a stove. When troopers arrived, they found the child bare foot and standing in what appeared to be animal waste, and found the home filled with trash, children's toys and rotting garbage, according to state police. In addition, the trailer didn't have heat, running water, hot water or food. Susee allegedly told police that the child's food was at his mother's home about a mile away. State police say it appeared as if the child had not been bathed in a while. The child is currently in DCF's custody. There's no word on if Mattison and Susee have attorneys. They are expected in court on Monday.